Swimming pools are about as popular in Southern California as anywhere else in the world a nice climate can be created and maintained. They’re at many city parks and homes across the area. The perfect weather and idyllic scenes make it a place for year round enjoyment in the water. While many people are able to keep their pools in great condition and up to local and state codes so that they are safe for visitors to use. However, there are many types of danger that could be involved in pools, both inside and outside the water. There are many causes of such injuries. Some could include not having enough signs up to explain potential dangers, as well as the risk of spinal or head trauma when using the diving board. In some cases, an especially slippery walkway could lead to a severe fall. Swimming and related accidents could lead to paralysis, including paraplegia and quadriplegia. These and other injuries could require extensive therapy in order to effectively walk and function again. The risk of drowning or near drowning is ever present. Even a partial drowning can result in serious brain damage. Many of these injuries will require long term rehabilitation. Any immediate and long term care is expensive and requires the victims to completely rearrange their life. An attorney that can help recover the needed funds and find the correct doctors will make that process so much easier. Great lawyers are able to negotiate with insurance companies to make sure that they honor their policy to the letter. They can make arrangements for if you’re out of work or need special training to return to work. 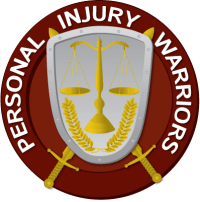 Even better, is that traditionally most pi lawyers work on contingency, so that if “we don’t recover for you, you don’t pay anything out of pocket for attorney’s fees.” As personal injury attorneys, we normally cover many expenses up front if needed and make sure that we build a compelling case regarding your injury to present to the opposing party and the court if it gets to that stage. We seek full compensation for your bills and pain and suffering. Contact one of our attorney members here today for more information or for a no-pressure consultation to consider your rights.